The Punisher takes on all comers as his bloody war on crime continues! 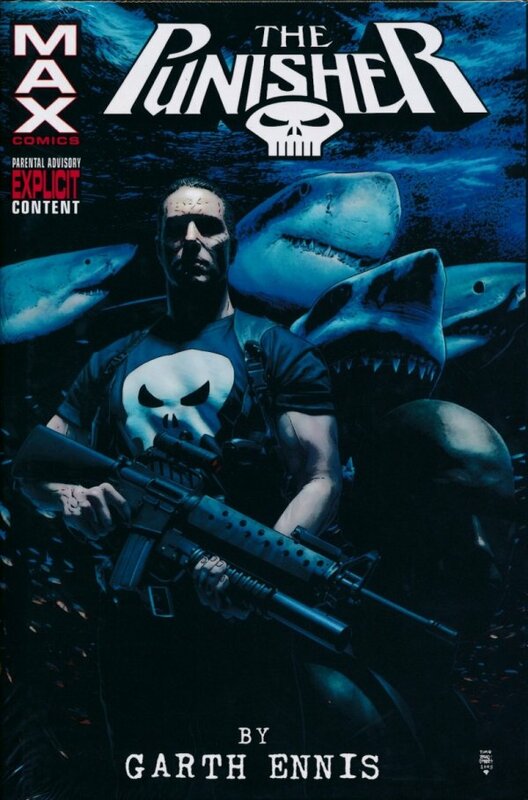 Frank Castle has faced some fearsome foes in his day, but none as stone-cold rotten to the bone as the Barracuda. You don’t want to see him smile! Then, Frank gets into a grudge match with a Soviet war criminal known as the Man of Stone. But even that hell can’t match the fury of five women scorned: Frank killed their husbands, and now they’re out for payback. Plus: The Punisher hunts the biggest game of all! Barracuda seeks bloody revenge! 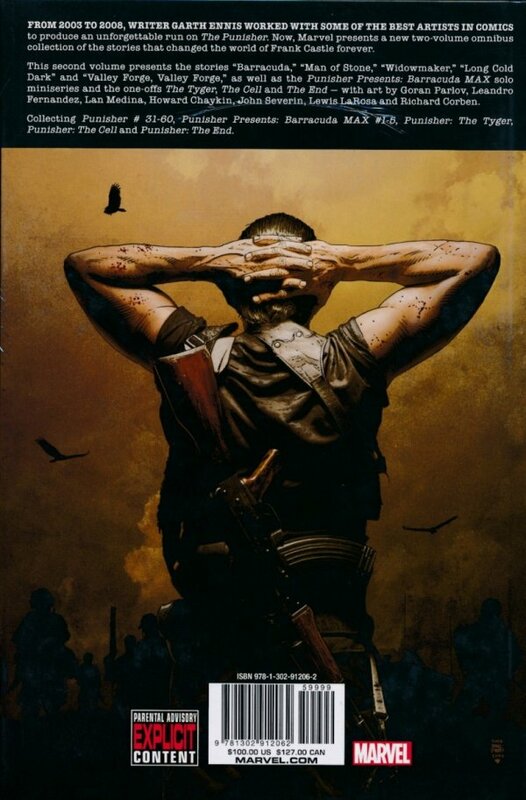 And tales from Frank Castle’s beginning and end - featuring his childhood and his last stand in an apocalyptic future. Nobody takes Punisher to the MAX like Garth Ennis! Collecting PUNISHER (2004) #31-60, PUNISHER PRESENTS: BARRACUDA #1-5, PUNISHER: THE TYGER, PUNISHER: THE CELL and PUNISHER: THE END.